Want a comprehensive PDF report covering all aspects of design for emissions and immunity performance for your design? 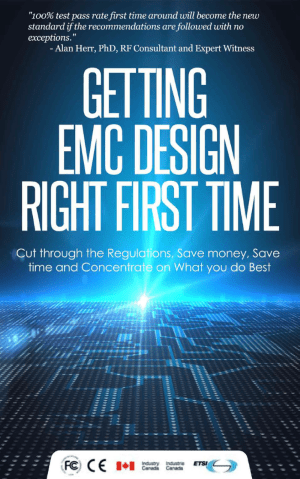 Using an 150+ point checklist, we verify that your design is prepared for EMC testing. Comprehensive report containing essential and suggested action items in PDF format. Normal turnaround is 5 days from receipt of order. Rush service available. Pricing varies with the complexity of the design and is very dependent on what type of product you're launching. See ballpark pricing on the full product details page. I'll get back to you within 48 hours with a fixed price quote. Does your product have an emissions or immunity issue and you want help and suggestions from an EMC engineer? Complex problems require a hands on debugging approach. I'm available to travel to your office with my arsenal of debugging tools to help squash EMC problems quickly. This service is good for companies who have a specific emissions or immunity problem that they'd like help or advice on. EMC FastPass troubleshooting rate is $150/h (USD) + expenses. I'm not in the US, can I still get help from EMC FastPass? Yes, I’m available to help wherever you are in the world. I’m based in Canada, but also hold a UK passport which allows me to work legally anywhere in the EU. Other countries may require paperwork for work visas. An alternative is for me to work remotely using your schematics and layout or send your product for debug in my troubleshooting lab. Our company would prefer to pay by cheque, can we do this? Yes, we accept payments by cheque. Are EMC FastPass Services Eligible for Government Incentives? Depending on where your company is located, there may well be government grants available for a portion of EMC FastPass membership fees. For example in Canada, the service is covered by the SR&ED tax credit program which covers up to 35% of the cost. This is the best organized, understandable and readable dissertation on EMC control I have seen in many, many years. Should be mandatory reading for every incoming engineer regardless of experience. A 100 % pcb passing on the first pass will become a standard if the checklist is followed with no exceptions. -Alan Herr, Ph.D. RF Consultant, Expert Witness at Cetan Nagin SIGINT/COMINT/ABI.